Almost one million of Harris County’s registered voters will be eligible to vote in the May 9 elections, according to Harris County Clerk Stan Stanart, the chief elections officer of the county. 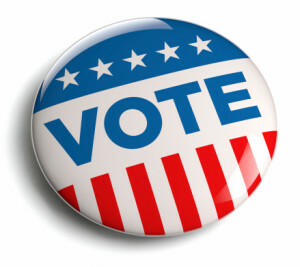 Early Voting begins Monday, April 27, and ends Tuesday, May 5. The County Clerk’s Office is conducting three of the May 9 elections: the Klein ISD Bond election along with the joint election for Humble ISD and the City of Humble. Voters residing in these three jurisdictions can find Early Voting, Election Day voting locations, and view a sample ballot at www.HarrisVotes.com. Forty-seven political entities are conducting their own election. “Voters should know that during the May Election cycle, sovereign political jurisdictions within the county can order an election and can conduct an election without the involvement of the County Clerk’s Office,” Stanart said. The cities include Missouri City, Deer Park, Friendswood, Galena Park, Hedwig Village, Hilshire Village, Hunters Creek Village, Jersey Village, Morgan’s Point, Pasadena, Pearland, Piney Point Village, Seabrook, Shoreacres, South Houston, Southside Place, Stafford, West University Place, Waller and Webster. The Independent School Districts include Alief, Clear Creek, Deer Park, Goose Creek, La Porte, New Caney, Pasadena, Pearland and Spring Branch. The only college district conducting an election is Lee College.